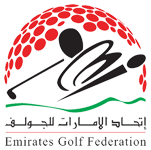 The Emirates Golf Federation (EGF) uses the USGA Handicapping System administered by The Golfers Card (TGC). The EGF sat down with TGC to have a Q & A in order for the EGF Members to have some clarity on the handicap system. Members can find more information on the EGF handicap system and TGC at these websites. EGF: If a new EGF Member just joined how do they obtain a handicap score? What if they had a handicap in the past? In order to obtain a Handicap Index a player must post at least 5 scores (5 x 18 hole rounds). The club will issue a live Handicap Index to the player at their own discretion. If you are a new member to the UAE/EGF and have a handicap certificate it will be recorded as your Live Handicap on the system and will only become an activated handicap after 5x 18 hole round games have been entered onto the system. It is the responsibility of the member to advise the club handicap administrator once these 5 rounds have been completed. EGF: How is EGF handicap calculated? What formula is used? Up to first 10 games, the average of all your differential scores will be taken to adjust your handicap. After that only the 10 lowest differentials will be used, until it becomes the lowest 10 differentials of your last 20 games, which it will then use infinitum. Your handicap will be adjusted based on your differentials. All calculations will be done by the system. A Handicap Differential is computed from four elements: adjusted gross score, Course Rating, Slope Rating, and 113 (the Slope Rating of a course of standard difficulty). To determine the Handicap Differential, subtract the Course Rating from the adjusted gross score; multiply the difference by 113; and divide the resulting number by the Slope Rating. Round off the final number to the nearest tenth. The maximum Handicap Index is 28 for Men, 36 for ladies and 36 for juniors. Note: A maximum Handicap Index will convert to a Course Handicap that exceeds these numbers on golf courses with a slope rating greater than 113. EGF: What is Course Handicap and how is it calculated? This is your handicap that you play off for a particular round at a particular golf course according to the slope rating (degree of difficulty) of that golf course. This should always be used for both general and tournament games. This is calculated by multiplying your handicap index by the slope rating of the tee you will be playing off, divided by the standard slope rating which is 113. EGF: What is an Adjusted Gross score and Most Likely Score? Your gross score after all allowances and deductions have been made -. You make these maximum adjustments allowed as needed when you play the hole. At the end of the round your score must be adjusted to the net gross score which needs to be posted into the system. Note this max allowance is only for handicap purposes and you may need to keep a separate score record for competition purposes. E.g. in Strokeplay competitions you will need to record your actual score even if it’s higher than these max allowances. EGF: What is a MOST LIKEY SCORE and when should it be applied? You must always enter the score you were MOST LIKELY to have scored before calculating your adjusted gross score. A Most likely score is the score a player must post for handicap purposes if a hole is started but not completed or if the player is conceded a stroke. Therefore a score must always be returned for Better ball / Stableford / team Better ball/ Stableford or Matchplay competitions. The most likely score consists of the number of strokes already taken plus, in the players Best Judgement, the number of strokes the player would take to complete the hole from that position/what the player can reasonably expect to score, more than half the time. EGF: How often is the EGF handicap updated/adjusted? At the end of every month (midnight) based on all games played. At any time when a manual handicap update is made by your club administrator. EGF: What do players do if they forget to register or input their round or scores? If for some reason you forget to or are unable to register your game on the day of play. you may, after completion of your game, either call your home club handicap administrator and / or send your card to your home club who will register the game and enter a score for you. Do not worry if scores have been entered incorrectly or a game has not been registered, as this can easily be fixed and adjusted by your club Handicap Administrator. ANY of the following options needs to be done within 72 hours of round registered to avoid a penalty round. Option 1 - Using your card - SWIPE at the terminal at your Club or ANY other UAE Club terminal. You MUST have your card. Swipe your card at the public terminal. Select which tee you played off. Click on ‘Update Profile’ and change your password immediately. Only once you have changed your password will you be able to view any outstanding games. You will see any outstanding games click on the wording and proceed to complete the games. Please note that ONLY GAMES REGISTERED /OPENED at the Club terminals will be able to be closed via the website. Option 3 - Email or Call your home Club handicap administrator with your game result details. You can reverse a penalty score by providing your club with a score card of the particular game missed and your club handicap administrator can correct it for you. EGF: Can EGF Members register rounds from outside of the UAE - If so, how? Yes, however, only if the course that was played has a slope and course rating, the player can then submit the scorecard/s to their home golf club handicap administrator and they can add the game/s using the Golfers Card club handicap administration system. EGF: How is the scoring and registration of rounds supervised or monitored? All clubs have access to The Golfers Card system and have been shown how to use the system for registration of games. The system is live 24/7 and is connected via internet. The Golfers Card has a 90% live access history rate. All clubs have been advised by EGF that ALL games played by UAE club members are registered as players check in for their round. All General games are registered as G type games and all Tournament rounds are registered as T type games. 2 x 9 Hole rounds played will combine, as they are played, and become a Combined 9 (18 hole) round shown on the layers game record as a C9 type game. A terminal for registration of games is available at all golf club receptions in the UAE and all clubs have made at least one additional terminal available for members to close their games in a PUBLIC area. All Players have 72 hours from the registration of a game to complete and enter a score for that round. Failing to enter a score within the 72 hour period an automatic penalty round will be imposed. A system generated email is sent to all players with incomplete/outstanding games before the 72 hour period has expired. A further automatically generated email advises the player if a penalty round has been imposed. Club handicap administrators have access to the GC club handicap admin system where they can monitor open/pending rounds and penalty rounds imposed to players in their clubs. Clubs can change and or delete rounds on request of the players and this is done at the club’s discretion. Clubs have access to various reports at their disposal to view players’ game and handicap records including exceptional scores reports. All UAE golfers can view each other’s game and score history either via the Golfers card public website www.golferscard.ae or at any public club terminal. EGF: Can players use their mobile devices or computers at home/work to record a game? All players in the UAE can use their mobiles, computers and /or any internet enabled device to access and login to the public website www.golferscard.ae to CLOSE / INPUT a score for an already open or registered game only. They are not able to ADD or RECORD/REGISTER a game. If they need to add a game not previously registered then they should email or call and contact their home golf club handicap administrator. EGF: Where can EGF Members find the USGA Handicap rules or information?